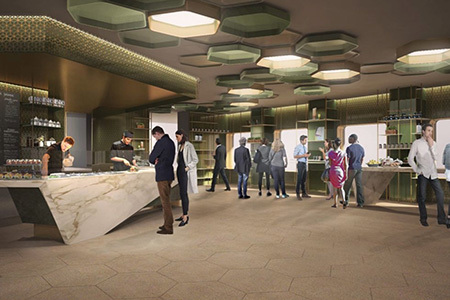 AquaClass guests will enjoy this exclusive restaurant featuring clean, crisp flavors and inventive cuisine complemented by an extensive list of sustainable, biodynamic wines. Pair all of that with personalized service, inviting surroundings, and natural light, and you have the fresh and bold experience of Blu. 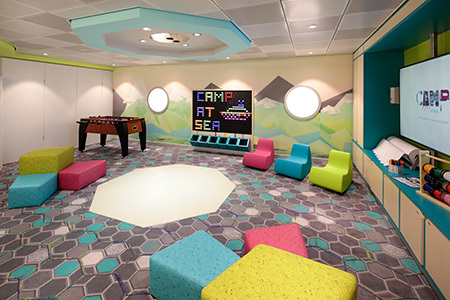 Celebrity takes its popular Camp at Sea program to the next level with interactive experiences for younger travelers of all ages. Every sailing is a brand-new adventure, with Celebrity's first and only fully customizable Camp at Sea program. Raise a glass as you roll the dice during an exhilarating night at the casino. The Celebrity Shops are home to the finest selection of luxury items and tailored guest experiences. From dazzling jewelry to watches, beauty to spirits, The Celebrity Shops feature a lineup of world-class brands. With a curated blend of luxury iconic brands like Bulgari, Cartier, and Tiffany alongside trendsetting new names, The Celebrity Shops offer guests a shopping experience unlike any other. 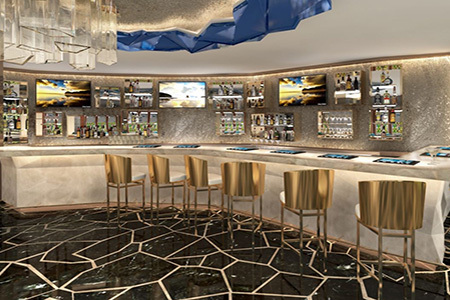 Cosmopolitan Restaurant is the next evolution of Celebritys main dining restaurants. The walk-through wine display at the entrance sets the scene for the creative cuisine within - new American with global influences. This restaurant represents Celebritys Greek heritage, with a stunning atmosphere that represents the Mediterranean fare served here. In Cyprus Restaurant, the menus main focus is seafood and features simple, clean dishes that celebrate the food and beverages of the Mediterranean region. 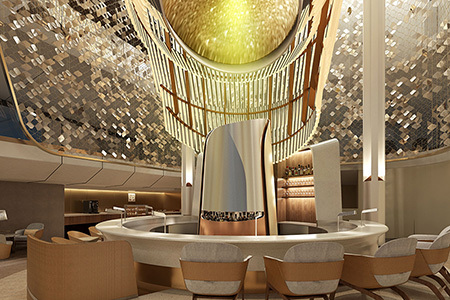 A multi-purpose area that brings destinations to life, The Destination Gateway is a portal that leads to all things global through onshore exploration and onboard enrichment. 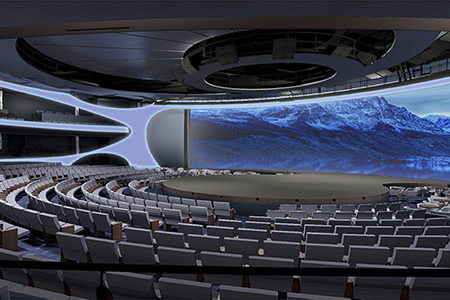 When not in use as a luxury embarkation station, the space is transformed into an intimate setting for programming centered on destination immersion, shore excursions, and more. 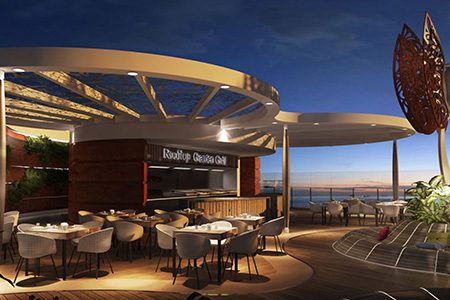 Above every deck of the ship exists an extraordinary, sky-high dining experience called Dinner on the Edge. 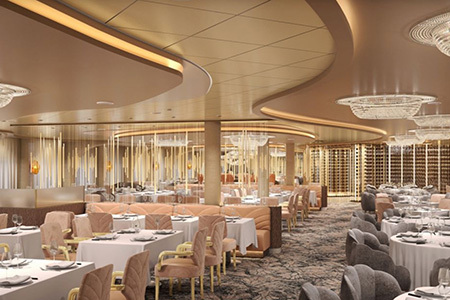 When the Magic Carpet ascends to the top of the ship, on special evenings embark on an exhilarating al fresco culinary journey thats a feast for your eyes, your appetite, and your sense of wonder. 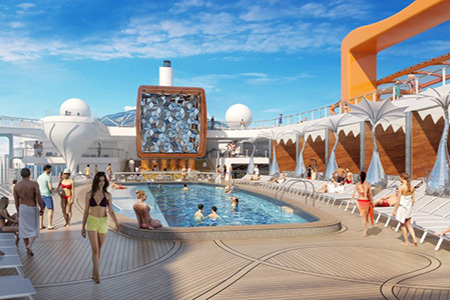 Reservations can be made once onboard. 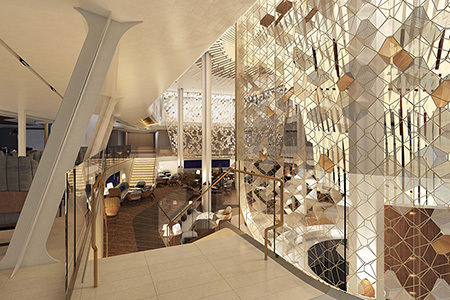 Eden offers guests a truly transformational view of the world with three stories of windows that look out to the ocean. 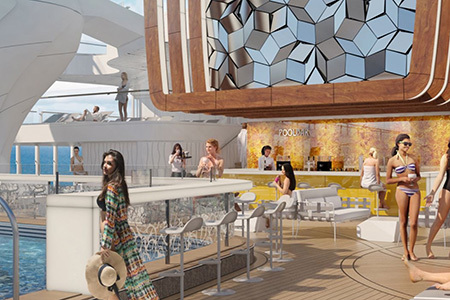 An architectural masterpiece, Eden offers sensory experiences throughout the day and into the evening, with two areas of al fresco seating for enjoying the refreshing salt breezes. 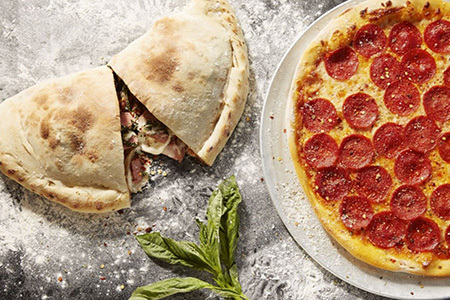 Your senses are in for a tantalizing new treat. 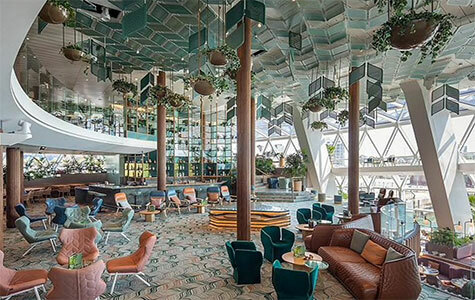 At Eden Bar, the Library of Plants is a living wall where fresh ingredients and garnishes are hand-picked for artisanal cocktails. Its all a part of the chillful, playful, sinful Eden experience. Eden Cafe offers a wide variety of morning beverages and casual culinary bites. Three stories of windows bring in the shimmering morning light to create a bright and airy atmosphere, and change as the mood shifts from breakfast to lunch, plus al fresco dining is available on either side of the cafe. Enter a place where dining is taken to new and exciting places. Eden Restaurant features menus that deliver sensory experiences and experiential dishes served by performance artists called Edenists. Let your inhibitions go and set your senses free with innovative, mouthwatering specialties inspired by nature. 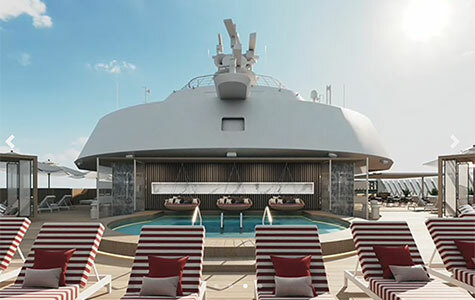 Six spacious cabanas line the starboard side of Deck 14 and provide another cool hot spot for incredible outward-facing views. 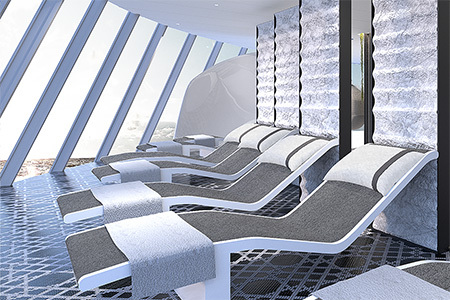 These rentable relaxation spaces offer a private getaway and highlight Celebritys design DNA. At night, ambient lighting enhances the intimacy of the spaces even more. 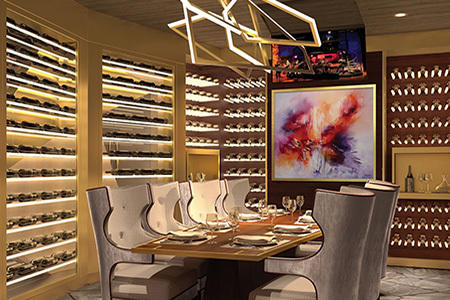 Fine Cut Steakhouse is an upscale steak and seafood experience where service is elevated to an art form and a space thats warm and inviting with a glamorous palette of rich ruby, amber, and gold design elements. 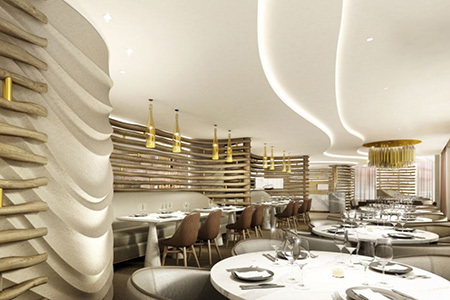 While the design creates an ambience of sophistication, the cuisine offers up the sizzle, with a wide selection of the choicest cuts of meat to the freshest, premium seafood. The Fitness Center will have you looking for any excuse to work out. 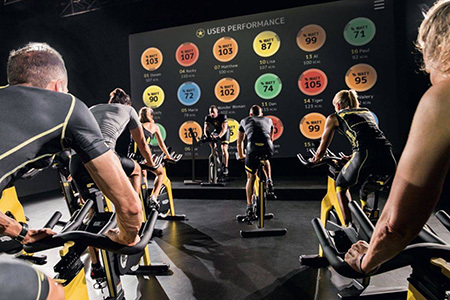 The latest, state-of-the-art Technogym weight machines and cardio equipment will challenge you to take your fitness to the next level. 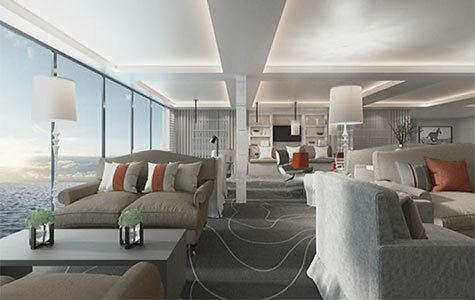 With floor-to-ceiling windows that keep you connected to the sea, you couldnt ask for more invigorating views as you work up a sweat. The Grand Plaza is the transformative space to gather. 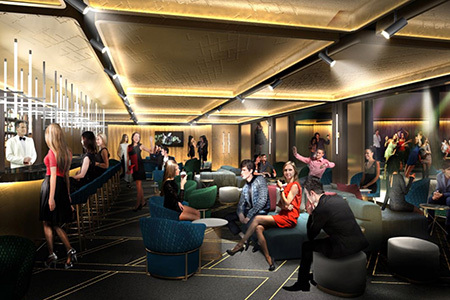 Experience a majestic, open, three-story venue inspired by the piazzas of Italy and the invigorating energy of everyone coming together to savor a taste of the good life. 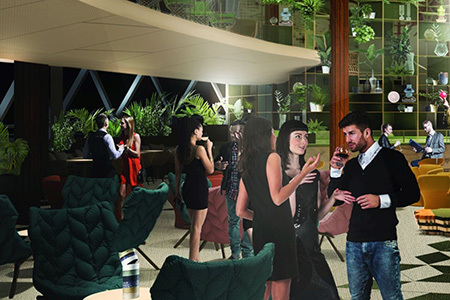 Home to specialty restaurants, along with the popular Martini Bar, Cafe al Bacio, and the new Grand Plaza Cafe, the Grand Plaza is the ultimate gathering place. 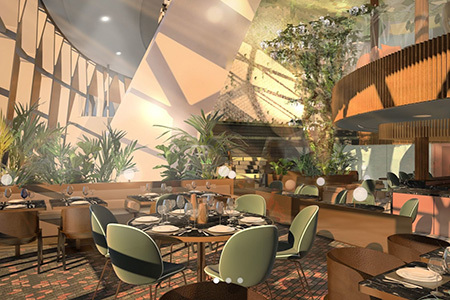 At the Grand Plaza Cafe, you'll discover even more ways to experience the world-class cuisine with eclectic and diverse complimentary dining offerings. 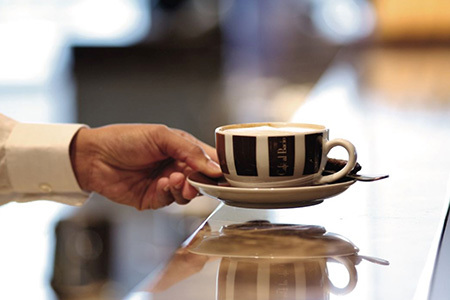 Enjoy specialty coffees and freshly squeezed juices at Il Secondo Bacio, located within the Oceanview Caf. 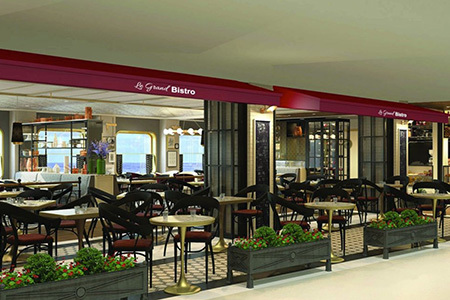 Inspired by classic French bistros, the mouthwatering sights, scents, and sounds of a bustling boulangerie patisserie are sure to excite and entice. 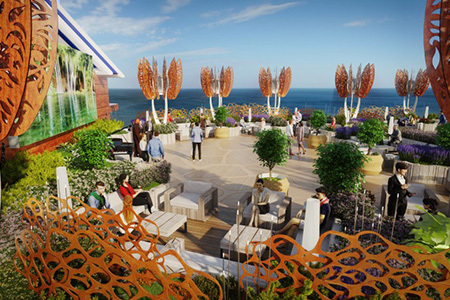 Enjoy an ambience that changes from morning to evening, and seating options that vary from the planter-edged sidewalk to the inner caf offering stunning views of the sea. 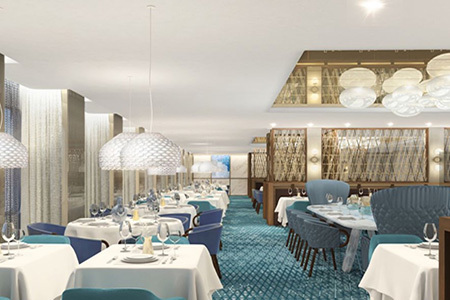 Dining is an exclusive affair for Suite Class guests with access to a private restaurant, Luminae at The Retreat - the highest-rated restaurant in Celebritys fleet - features daily changing menus not available in any other restaurant on board. 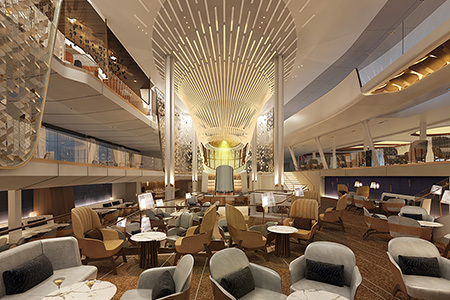 Perched on the starboard side of the ship, the Magic Carpet features stunning, open-air panoramic, outward-facing ocean views. 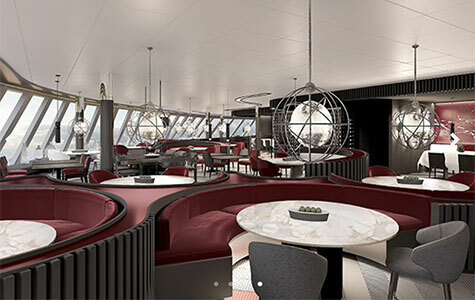 Moving up and down the ship, this spectacular space is repositioned alongside several decks and transforms into a new and exciting venue depending on which deck its positioned. Behind an inviting, attention-getting bar, flair bartenders dazzle with gravity-defying skill as they craft creative cocktails. Pull up a chair, raise a glass, and say, "cheers" to new friends and new experiences. 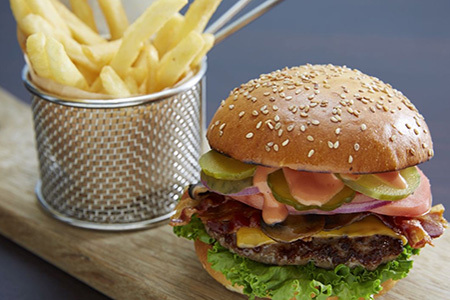 Theres no better place to sample some hearty fare than on the top deck at the Mast Grill. Enjoy ocean views and curb your hunger with a burger, salad, or sandwich in a relaxed, poolside atmosphere. 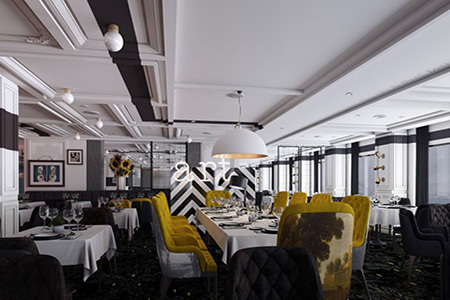 Normandie Restaurant features contemporary French cuisine in a modern, upscale, refined space that evokes the romance of springtime in Paris. Enjoy regional European wines, deliciously unique cocktails, tantalizing starters, and mouthwatering entres. 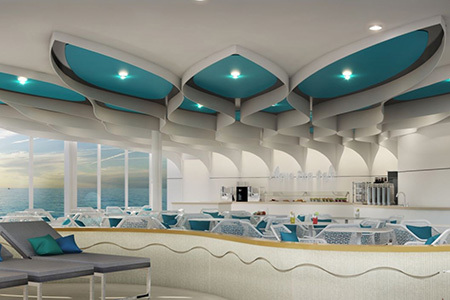 Featuring sweeping two-story, floor-to-ceiling windows, the Oceanview Cafe lives up to its name more than ever before. 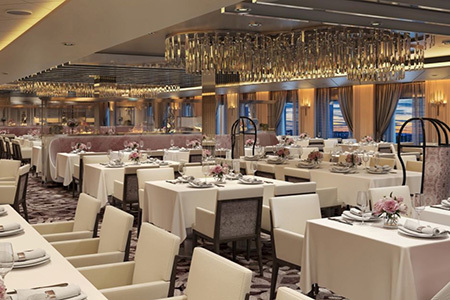 One of Celebritys signature favorites, live action stations include an Asian stir fry station with flavors inspired by the spice route and a bakery serving up fresh selection from the oven. In Raw on 5, the dramatic raw bar display at the entrance showcases an abundance of oysters, crab, and lobsters to choose from. 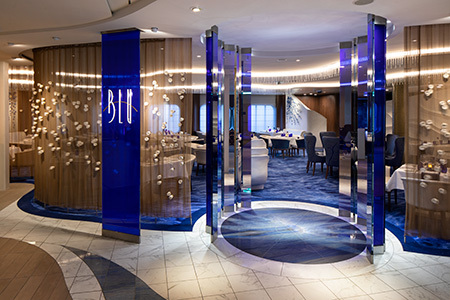 The menu, also available at the Magic Carpet when positioned on deck 5, features more casual offerings like Shrimp Salad, Celebritys signature Lobster Roll and sushi and sashimi prepared by expert sushi chefs. 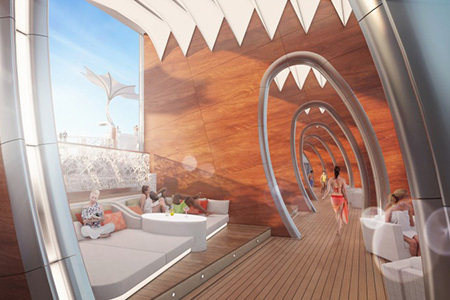 The Resort Deck offers endless ways to enjoy the outdoors and connect with the sea. It includes everything from an asymmetrical outward-facing pool deck to a jogging track that winds up, down, and around the Rooftop Garden, a living urban playscape inspired by childhood playgrounds. Exclusive to Suite Guests, The Retreat Lounge offers endless ocean views and is open 24/7. Inside, there is a warm and inviting space that has the air of a sophisticated sunroom. 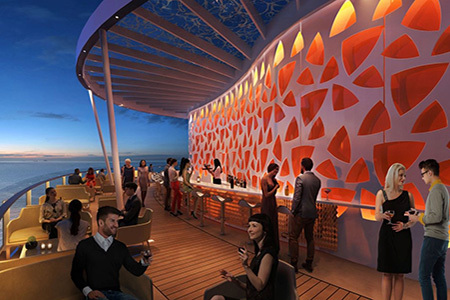 Enjoy beverages, gourmet bites and live entertainment. The Rooftop Garden, tended to daily by a resident horticulturist, is the perfect place for guests to enjoy interactive games and activities throughout the day, or enjoy the not-to-be-missed evening entertainment where food and film merge during "A Taste of Film," and pop-up live music performances from the unexpected treetop sculptures. Enjoy lunch or dine under the stars at the Rooftop Garden Grill, nestled perfectly in its own delicious corner of the Rooftop Garden. Discover the ultimate in outdoor eateries where youre surrounded by the open sky and the most incredible ocean views around while you savor gourmet backyard BBQ favorites. An evolution of the popular Persian Garden, the SEA Thermal Suite features eight distinctive therapeutic experiences, all inspired by nature to create one incredible place to relax, and connect with fellow wellness enthusiasts before or after your treatments at The Spa. 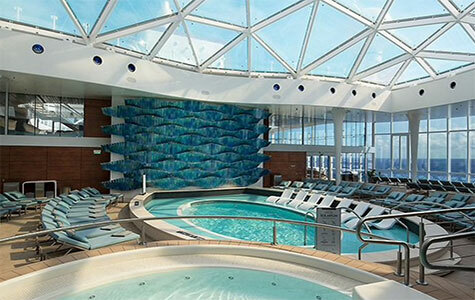 Located on the Resort Deck, the adults-only Solarium is one of the most popular spaces on any Celebrity ship. A covered pool area lets adults unwind in modern luxury style. After indulging at the spa, grab something fresh and flavorful at the Spa Cafe and Juice Bar. Youll love the creative take on healthy cuisine with nourishing salads and nutritious smoothies. Get your glam on or elevate your look with salon and barber services at The Spa & Barber. 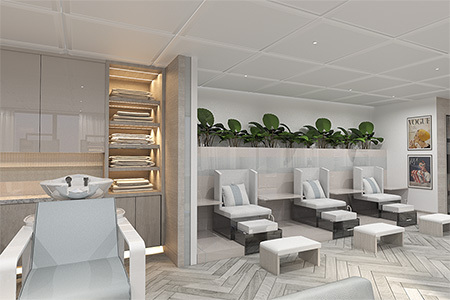 Everything you need from head to toe for your Evening Chic nightsor simply to treat yourselfis here at the first ever Krastase Institute at sea. And for todays modern luxury man, The Barber offers traditional hot shaves and fresh cuts. Watch the world go by with a cocktail in hand as live pop and folk tunes play. With a casual country club atmosphere, Sunset Bar is the perfect place to soak in spectacular views. Keep the party going late into the night at The Club. 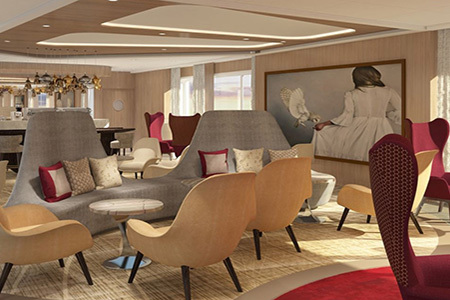 Dance to your hearts content and lounge in a sumptuous, modern seating area. The Meeting Place is perfect for hosting and entertaining groups large and small in modern luxury style. 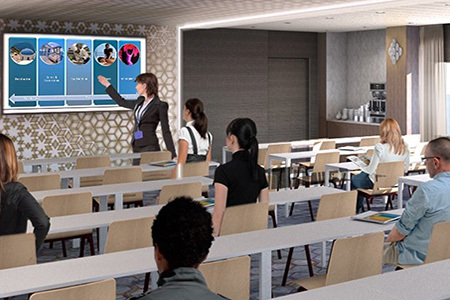 Commanding a central location near the elevators, the venue offers brilliant ocean views, flexible meeting spaces, and an atmosphere that inspires. The 1,970-square-foot facility can serve as a spacious ballroom, conference area, or be divided into smaller banquet or classroom settings, depending on your groups needs. After a dip in the pool, enjoy refreshing drinks poolside and be mesmerized by an ever-changing mirror installation that shines day and night. 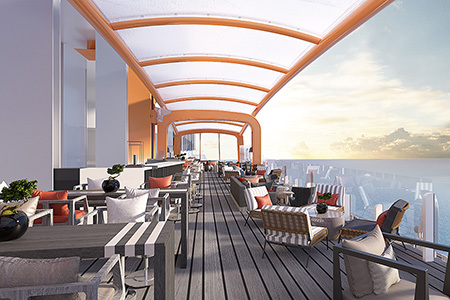 The exclusive sanctuary for every Suite Class guest, The Retreat is a private paradise aboard a floating paradise. This spacious outdoor lounge area makes it easy to unplug with plush, stylish furniture, full-sized pool, hot tub, and poolside bar. 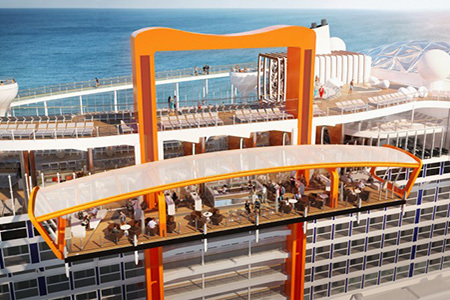 One of the most expected entertainment venues youll find on the ship is also the most unexpected. 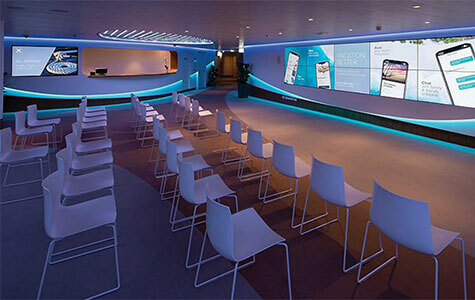 A truly contemporary space designed to blur the line between audience and performance, The Theatre immerses you in an unparalleled entertainment experience where the performances are as innovative as the space itself. 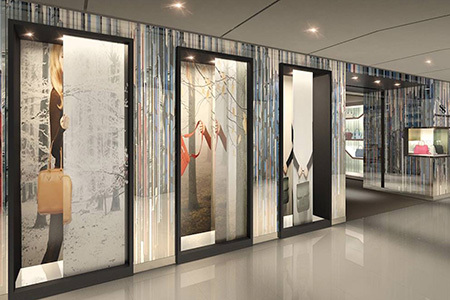 Step inside and discover the delicious ambiance - a modern classical design centered around Italian fashion and film. Savor mouthwatering cuisine inspired by authentic southern Italian eateries, featuring all homemade pastas prepared with a rustic flare. Your taste buds will get a tour of southern Italy without even stepping ashore.